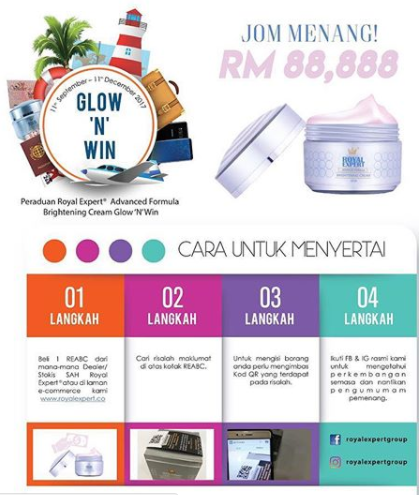 Win Prizes by Staying Beautiful and Glowing skin with Royal Expert! By reading of my title of the post you definitely know that this is a chance for you to win some awesome prizes from Royal Expert. 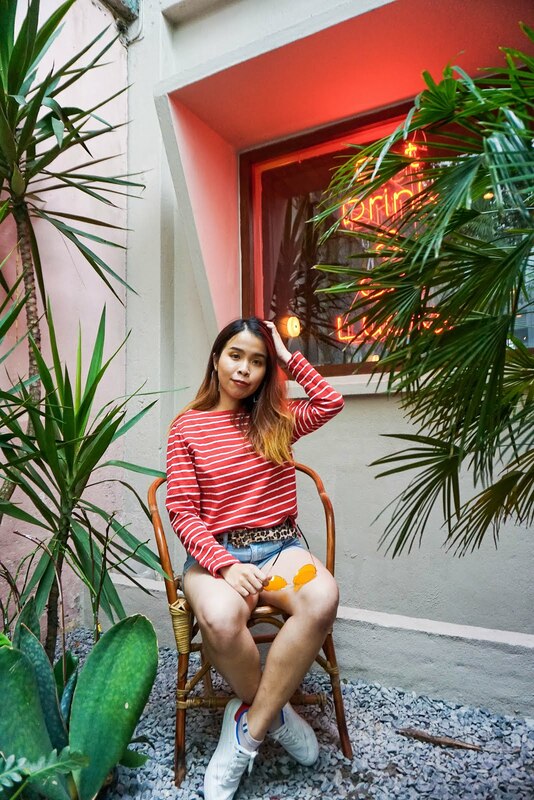 Everyone loves to win prizes and not only that you can also stay glowing and fairer skin too! Royal Expert has been in this field since 2009 and also receive Malaysia Power Brand Award 2017 as well. 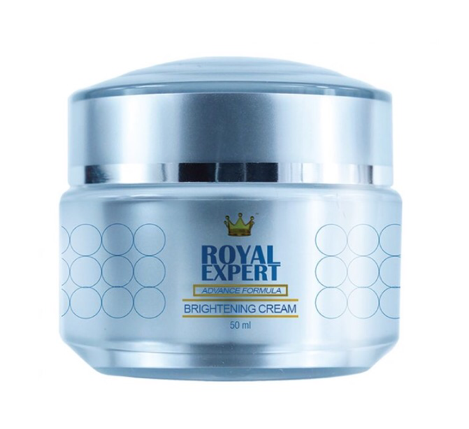 Royal Expert started products with their single famous whitening cream, with ranges for men, women, and children. Royal Expert is expected to fuel rapid growth in the Malaysian, Indonesian, Indian and USA market. Also, launching soon is our wellness range, revolving around products that carry numerous health benefits. All their products are KKM approved. Check out the link here for more product info. One of their famous whitening products is this Advance Brightening Cream (REABC) which is suitable for men and women. 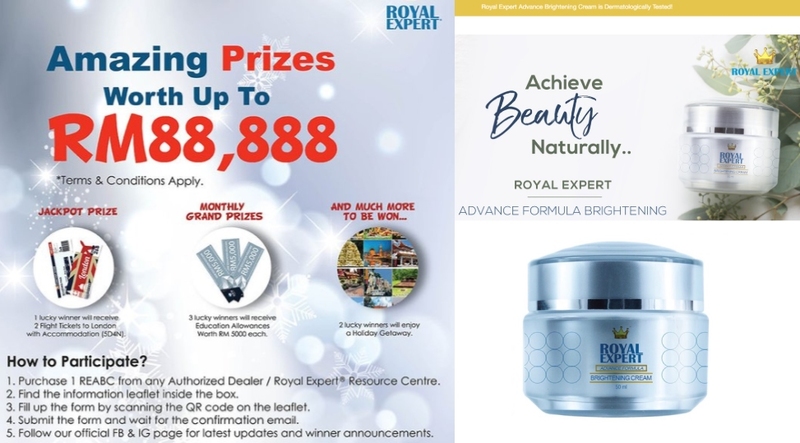 This famous Royal Expert Advance Formula Brightening Cream helps enhances the appearance of skin, good for sensitive skin, not only that it helps to remove dead skin cells and prevents pore blocking too! There are just too many goodnesses of this one product but don't stop here. WHY? Read on then. Here are some simple steps to join the contest with Royal Expert. That's all, is it easy and simple? 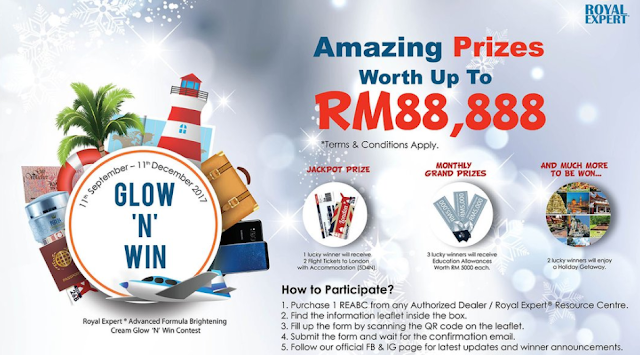 So what're the prizes you can win by joining this contest! 2 Lucky winners will be announced ever 2 weeks, while 1 lucky grand prize winner will be announced at the end of the each month. For Jackpot winner be, it will be announced at the end of the campaign! Contest campaign is starting from 11th September 2017 to 11th December 2017. Make sure you grab every chance you have to join this contest because Royal Expert is looking up to 16 lucky customers to win away these amazing prizes! Everyone at the age of 18 years old above is applicable to join. Each purchase will be count as per entry with T&C apply. Another great news for those who are looking for extra income or side business, you are absolutely welcome to be an OEW or Royal Expert Authorised Dealer with only RM780 as a kick start business offer! There's a lot of benefits and offers for each of you who join Royal Expert OEW or Royal Expert Authorised Dealer as well. Don't miss out this chance to let yourself win prizes up to RM 88888! Remember to like their page and follow their facebook page for more updates for this contest. Also, don't forget to Check out Royal Expert website now for more info. Such generous prizes!! I am going to check out Royal Expert ASAP and enter the contest, even though I have never heard about them prior to this!! Sounds like a great product, will check it out! Thanks for sharing. Maybe it's time I started using skin products to make me look younger! I will check it out.